The warning above is the first paragraph of the executive summary of the National Defense Strategy Commission’s report, which was published on Tuesday. 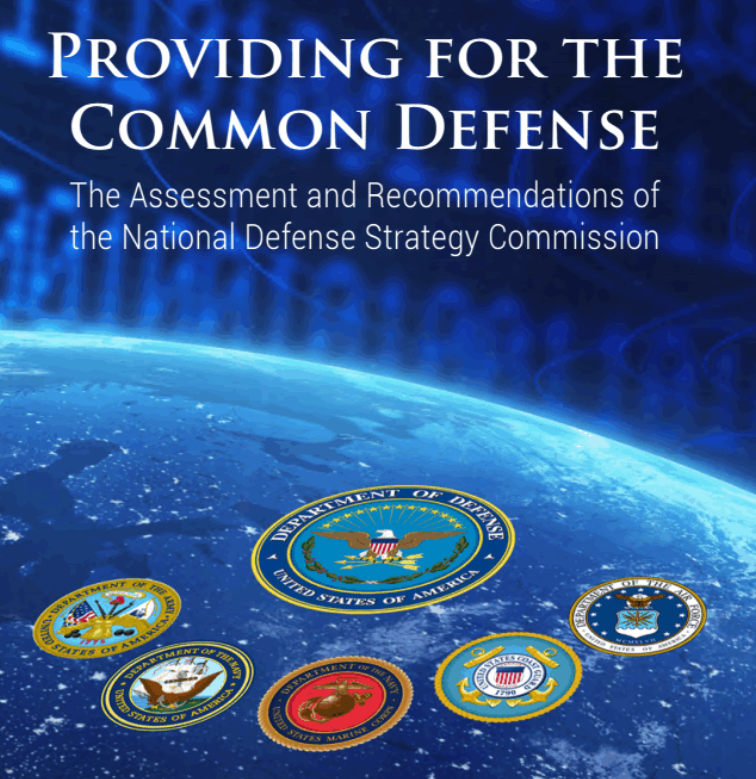 The commision was established by the 2017 Defense Authorization Act to evaluate the health of the nation’s defense. It went on to warn that the Defense Department is not financially or strategically positioned to fight two simultaneous wars and there is a strong possibility, a war against China or Russia could result in a humiliating defeat. The commission's co-chairmen, Eric Edelman, who was undersecretary of defense in the Bush years, and retired Adm. Gary Roughead, a former chief of naval operations officer for Bush and Obama administrations, are set to testify before both Armed Services committees later this month, said NBC News. Johnny Michael, a Spokesperson at the Office of the Secretary of Defense, said they welcomed the report, describing it as "a stark reminder of the gravity of these issues, and a call to action." Edelman, who also wrote an article for the Atlantic Council, an American think tank in the field of international affairs, said Wednesday that "China and Russia, seeking regional hegemony and global power projection, are pursuing military buildups aimed at neutralizing US strengths." Edelman also said, "At home, the United States has significantly weakened its own defense due to political dysfunction and decisions made by both Republicans as well as Democrats." "This has played out in the effects of the Budget Control Act (BCA) of 2011 and years of failing to enact timely appropriations. Defense spending was cut substantially under the BCA, with pronounced detrimental effects on the size, modernization, and readiness of the military," he said." Earlier this year, President Trump signed into law one of the most massive military budgets on record, now the administration is planning to cut $16 billion next year, which currently is at $716 billion — a 2.25% reduction. 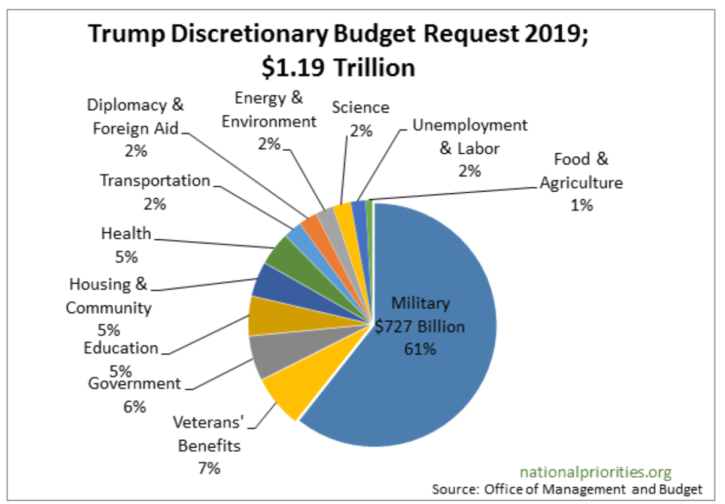 By 2019, it is forecasted that President Trump's budget request for military spending would make up about 60% of the federal discretionary budget, compared to 54% in 2018. Nonmilitary discretionary spending would collapse as the war economy is preparing for the next military conflict with new investments in critical industries including fifth-generation fighter jets, hypersonic technologies, laser weapons, low earth orbit satellites, air/land/sea drones, sensors, and artificial intelligence. However, there is a significant problem. America is broke. US National Security Adviser John Bolton called the national debt a “threat to the society” that requires substantial cuts to the government’s discretionary spending. Bolton told the audience Wednesday at an event hosted by the Alexander Hamilton Society in Washington that he expects military spending “to flatten out” in the near term. The remedy to win a war against China and Russia is more defense spending, something that could trigger a fiscal crisis if the deficit continues to expand. So, will the Trump admin reign in the deficit and face a dual world: Russia/China and the US, or will the deficit explosion continue until something breaks?